After many years of practicing dentistry in Brooklyn, Dr. Eli Adler, who grew up in the Five Towns area, has opened an office in Lynbrook. In addition to offering a wide variety of top-notch dental services to adults and children, his plan includes bringing his “no-nonsense Brooklyn prices” to the South Shore community. All dental services are provided by Dr. Adler himself. He does root canals using computerized equipment. Implantations are done from beginning to end, from placement to restoration. The facility, which is part of a new store-front style medical center, consists of a beautiful modern office kept clean with high standards. 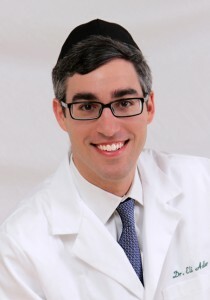 As Brooklyn has a large population of families, Dr. Adler brings years of experience in working with children, which he adores doing. With a strong background in children’s dentistry, he uses a non-injection technique for fillings, which works well on baby teeth. Using a gentle approach, he explains things in a way a child will understand, thus providing a fun and positive experience. For adults, he uses a patented numbing technique that eliminates those “fat lip” and “drooling” feelings. The injection numbs the tooth without extending the feeling to the tongue and lip. He also offers cosmetic work, such as veneers and other aesthetics. Having been a resident of the Five Towns area for over 30 years, Dr. Adler is quite familiar with the cultural makeup and the needs of the community. He, his wife , and their sons live in the area. He attended New York University Dental School in Manhattan and did his residency at Peninsula Hospital in Far Rockaway. During college, he did volunteer work, organizing weekend basketball leagues for Lawrence Middle School and the #1 School. At this time, Dr. Adler honors all major insurance and union plans as full payment. For those who have no dental insurance, he keeps his fees affordable. Sunday and evening hours are available.